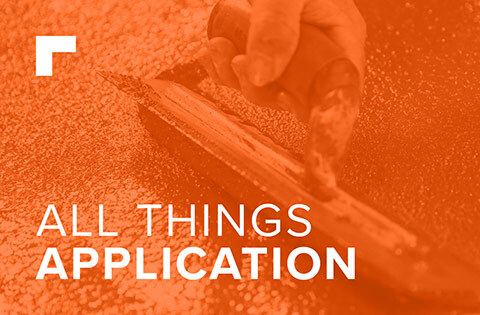 Aggregates are the often unsung heroes of resin flooring applications. We might talk more about the resin floor’s chemistry, when it’s often the particles and additives incorporated into the floor that makes the biggest difference. 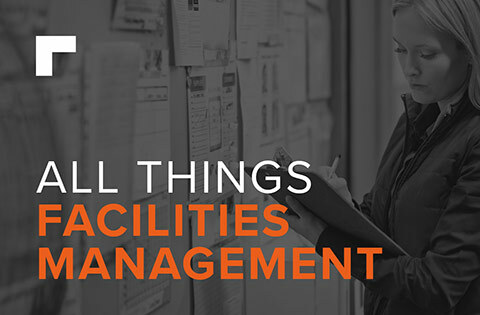 We’ve put this blog post together to help explain what exactly aggregates are and why they’re important. 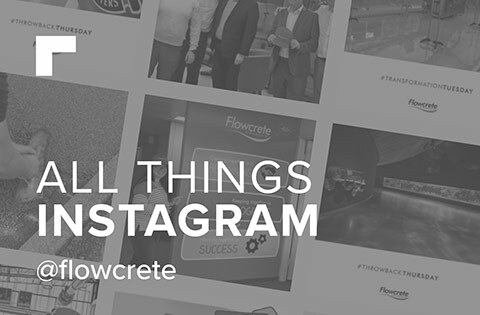 We’ll primarily be using terrazzo flooring to illustrate the effect of aggregates, as it’s very easy to see the role that they play, however it’s worth bearing in mind that other types of coatings will often utilise aggregates as well. 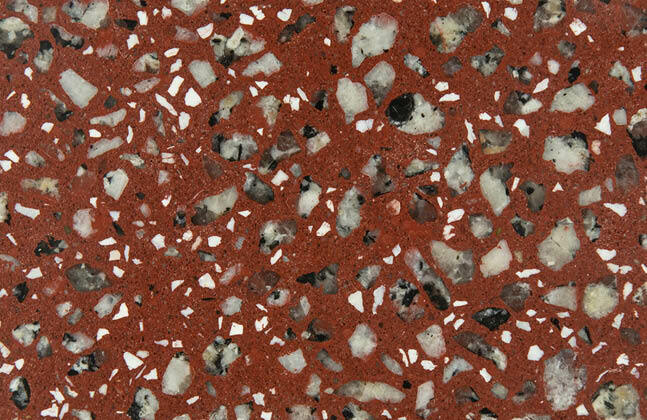 This close up of a resin terrazzo floor shows the aggregates that have been used in the mix. Aggregate is a bit of a catch-all term for pieces of broken or crushed material like stone or gravel which are used in concrete or more generally throughout building and construction work. 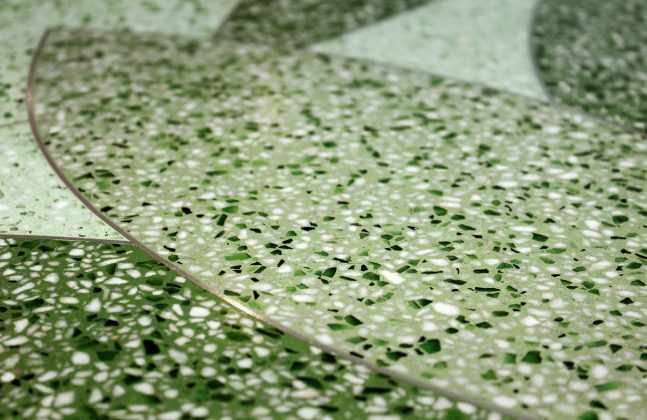 When it comes to terrazzo flooring, the aggregates might be granite, flint, glass or other small chips that are chosen to add colour or a specific aesthetic. The choice of aggregate plays a very important role in the floor’s appearance, style and visual impact, for example by creating a bright and glittering, classic and traditional or modern and clean surface. 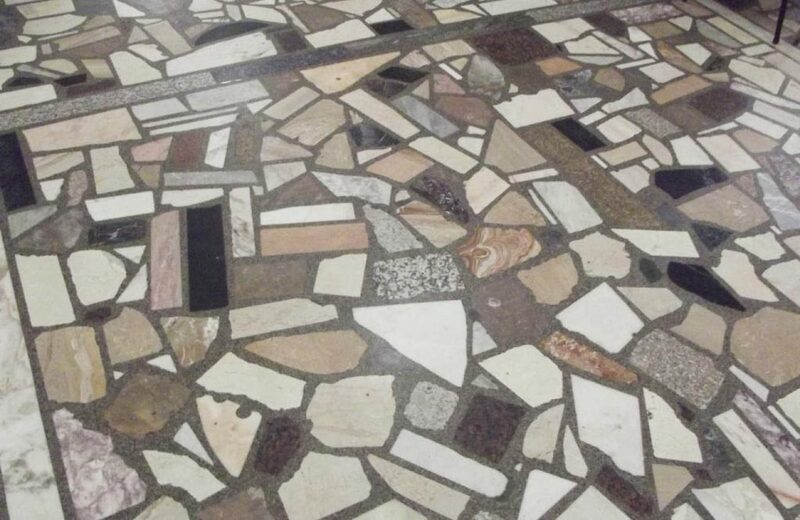 While terrazzo flooring itself dates back to Ancient Rome, today’s advances in flooring technology means that aggregates such as marble, quartz, concrete, porcelain, plastic and metal can all be combined with an epoxy binder and polished into a smooth terrazzo surface. 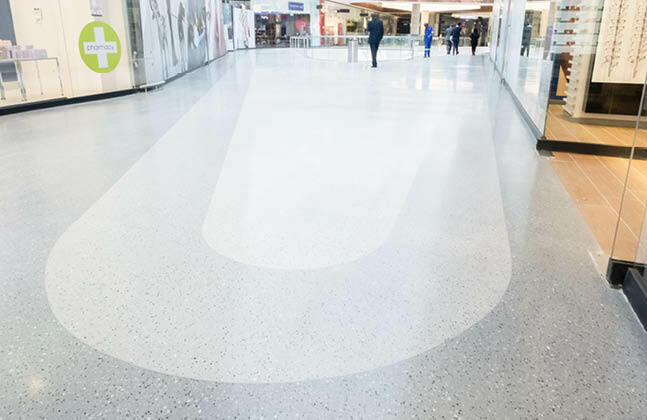 Today’s seamless resin terrazzo systems have become popular with commercial sites that need large expanses of decorative, seamless and durable flooring. It has also become popular to use materials such as recycled glass, as this helps to reduce the amount of waste taken to landfill and is therefore a very sustainable choice. 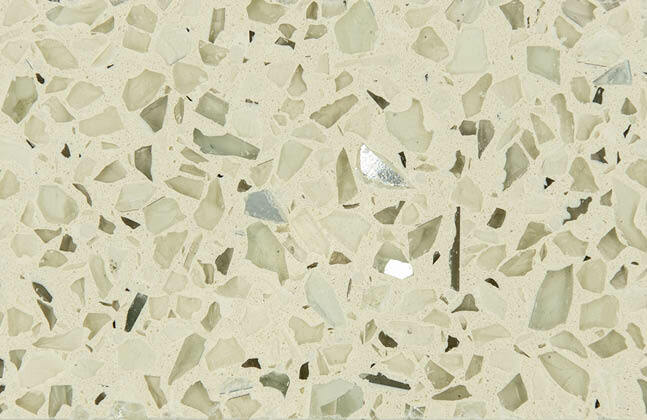 Alongside its decorative properties, aggregates typically make up to 70% of a terrazzo floor’s mix. So it’s important to understand the functional characteristics of the aggregates as they could have implications for factors such as the durability, lifespan and cleanability of the floor. Picking the ideal aggregate can be tricky, especially as each one can come in a variety of different sizes. The shapes can even differ too, as different crushing techniques can modify the shape of a terrazzo chip, adding new design opportunities. This is achieve with crushing equipment which allows aggregates to be turned into different shapes. A cone crusher will reduce an aggregate in size and produce a rounded edge while a jaw crusher creates a more elongated shape with a jagged outline. 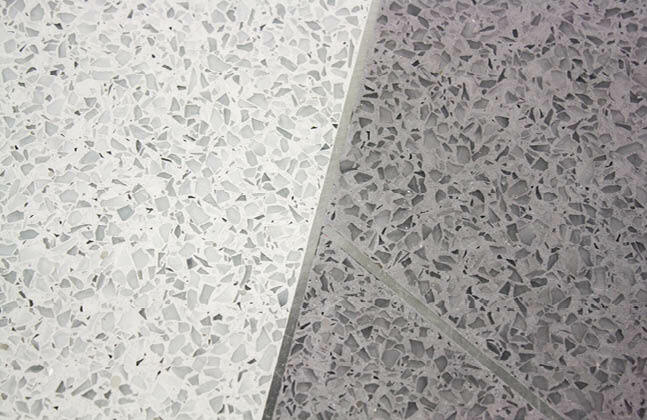 To help give you an idea of how different sizes and types of aggregates change the look of a terrazzo floor we’ve included two examples below. In this first one, the aggregates are granite and flint pieces ranging from 1.6 – 5mm. Granite and flint aggregates ranging from 1.6 – 5 mm. In the next image, the terrazzo floor consists of a combination of different types of glass (specifically crushed and clear) in particles of 1 – 5mm. Glass aggregates ranging from 1 – 5 mm. Once the additives start getting much larger than this then the floor tends to take on a more classic, mosaic-like aesthetic, such as the floor below. The aggregates in this terrazzo floor are much larger than the previous examples and so creates a very different aesthetic. We hope that this has helped to give you an insight into the different types of aggregates out there and given you some food for thought, particularly if you’re thinking of installing a terrazzo floor. 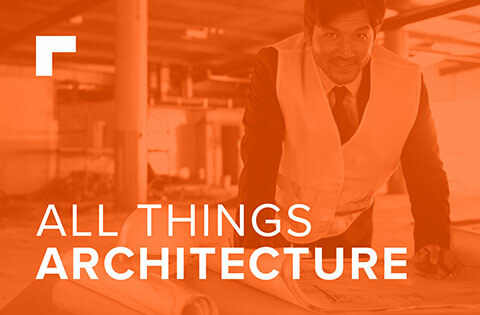 If you’d like to discuss this in more depth get in touch with our flooring experts or leave us a comment below.